The benefits of Reiki are too many to mention and can have life changing effects on many aspects of one’s life and the life of others. Reiki is holistic, and when applied to the self or on others, the energy channeled, usually through the hands, balances, heals and harmonises the body, mind, emotions and spirit. It is one of gentlest and most effective yet powerful technique available. 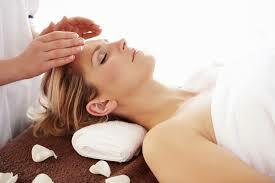 Reiki can support and enhance other forms of treatment and is a tradition which is open to any belief system. The Reiki Level II course is for those people who have already learnt Level I and have been practicing how to use Reiki on themselves, friend, family and pets and wish to go further and perform Reiki to clients in a professional capacity as a practitioner and utilise their skills as a business and charge money accordingly. This level may also be learnt in order to apply the sacred symbols for their own use and enhance their healing potential, along with sending healing at a distance over time and space. 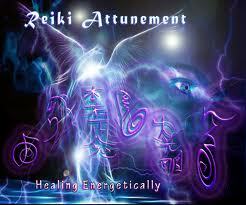 When attuned to Reiki II the energy intensifies and you will notice a higher level of energy when performing healings. You are initiated into the three sacred symbols which increases the power of the energy and can be projected over time and space; past, present and future, and you will learn how to apply these into your healing sessions along with guidelines on how to create a healing space your for clients and develop a successful business. You will also learn how to send healing at a distance over time and space to friends, family, pets, and world peace. A twenty minute distant healing session can be equivalent to an hour long 'hands on healing' session as if they were in the same room. At this level you will gain a deeper understanding of the unconscious mind, the emotional and mental bodies, the importance of recognising the symptoms of repressed emotions, and techniques to manage and process them. Metaphysical subjects will also be explored, including the Universal Laws that govern our lives, along with guidance on physic protection and sensitivity/empaths as healers. After completion of this level you are recognised as a practitioner and are able to practice your new learnt modality in a professional capacity and charge money for your services accordingly. For those interested in acquiring further knowledge of metaphysical subjects and emotional intelligence, along with advanced Reiki techniques, and receive the Master attunement to increase the effectiveness and strength of the Reiki energy, the Advanced Level will be the next step for you. The cost is $395.00 and you will receive a Certificate of the Second Degree of the Usui System of Natural Healing on completion of the course together with a manual, handouts and on-going support, including scheduled Reiki share evenings on the Gold Coast. SPECIAL- When both Reiki Levels I & II are learnt over one weekend pay only $695.00 in total (save $50.00) when $200.00 deposit is paid at the time of booking and the balance is paid 14 days prior to attendance of the Level I class. Note: Reiki Weekends (Levels 1 & 11) now available in Perth and the Gold Coast. What are the prerequisites for the Reiki Level II Course? Usui Reiki Level II is held over ONE DAY from 8:45pm to 6:30 - 6.45pm. WHERE IS THE REIKI COURSE LOCATION? When is the next Reiki Level II Course? How do I book for the next Reiki Level II Course? Please contact us by telephone or email to confirm your booking PRIOR to making a payment as places are limited. Once confirmed, to secure a place on this course we require a deposit of $200.00 to be paid at time of booking, or payment in full if applicable. Balances are to be paid 15 days prior to course start date.